The “Troubles Thriller” is an international genre. Albeit peripheral, and taking place in a small country, the conflict in Northern Ireland has generated a flurry of crime novels set there during the Troubles. In addition to the several hundreds Crime and spy novels written in Britain and in America on the ” Troubles” in Northern Ireland, there have been a number of novels written on this subject by European Crime authors and published in their own countries. These works have very rarely been translated into English (nor, as a rule in many other languages), as they primarily targeted their own domestic market, and sought to offer there a similar fare to the Tom Clancy, Jack Higgins and others who dominated the genre. They might be derivative, but this in itself does not make them redundant. Their take on the conflict is often highly idiosyncratic. They are controversial, but they were read by hundred thousands, if not by millions of readers. The political views they display and the representations of Ireland which they carry are of interest, making the books precious sources for a cultural history of European responses to the situation in Ireland. With all its stereotyping, essentialisms, and anachronisms, San-Antonio, for example, has set no less than four novels in his eponymous Fleuve Noir Series in Ireland, starting after the beginning of the troubles. Unlike many others (for example Gerard de Villiers’s Furie à Belfast (1974), which, incidentally, was translated into English (The Belfast Connection, Pinnacle Books, 1976) and other languages), San-Antonio’s narration seems intent on avoiding to exploit the troubles. The novels conspicuously write around them. San-Antonio apparently tries to find a way to write about Ireland (and what is more, about violence in Ireland) almost without mentioning the elephant in the room, the war raging outside of the diegesis and broadcast at the same time in the media worldwide. The avoidance of binary representations of parties in the conflict is not enough however to prevent a static view of Ireland . Is it rather the opposite, as in keeping away from political events the books tend to present a de-historicized vision of an Ireland, not so much permanent, as suspended in time. 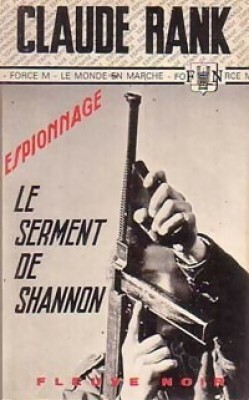 Another, very different example of European creative readings of recent Irish History is Le Serment de Shannon, the novel by Claude Rank, published in 1975 in the Espionnage, Fleuve Noir Series. Rank, born 1925, a veteran of the battles in Italy and Germany towards the end of WWII, is primarily known as a crime fiction author. 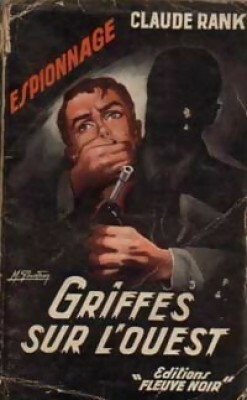 He published more than 40 novels in the Spécial Police Series (see appendix, below). 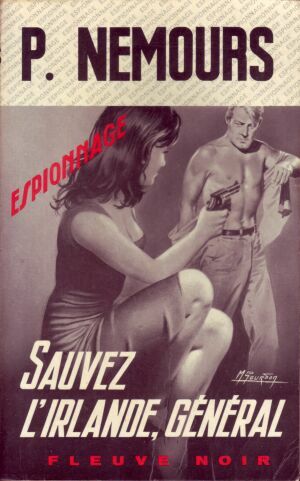 Following his publisher’s (Fleuve Noir) encouragements to embrace the marketable Spy fiction genre, he became, too, one of the leading authors of the “Espionnage” Series. Le Serment de Shannon is part of his ” Le Monde en marche” novels, scattered around warzones and flashpoints of 1960’s and 1970’s diplomatic history. It is well informed and well researched, places and streets are precisely located, and it captures a vivid sense of Belfast during the troubles. It shares many features with Troubles thrillers. Northern Ireland is depicted like a living hell, a big slum, torn by hatred and barbarism. Dirt, backwardness, promiscuity and narrow horizons are the recurring tropes in the descriptions throughout the book (in contrast with the romantic depiction of the West Coast of Ireland in the final part of the book). The lead character is a British colonel. But there is a French twist. The colonel, Victor Lisney, has, rather improbably, French ancestors, and his wife (called Mary Frances) and daughters now live in France and have sworn never to come back to Belfast. He is actually sympathetic to the Irish Revolution. Injustice, inequalities, exploitation and the organised destitution of entire sections of the population (and the hypocrisy and moral bankrupcy of those who preside over it) horrify him. Jailed for his part in a bloody terrorist attack, he returns to Belfast as a ghost, a shadow of his former self. Many disturbing scenes of abuse, torture and humiliation follow this return. More disturbing even are the various comparisons between the British troops and German occupation of France during WWII. As such it reflects less on the British Army and police and more on the author’s own background and ideological framework (and that of his readers). 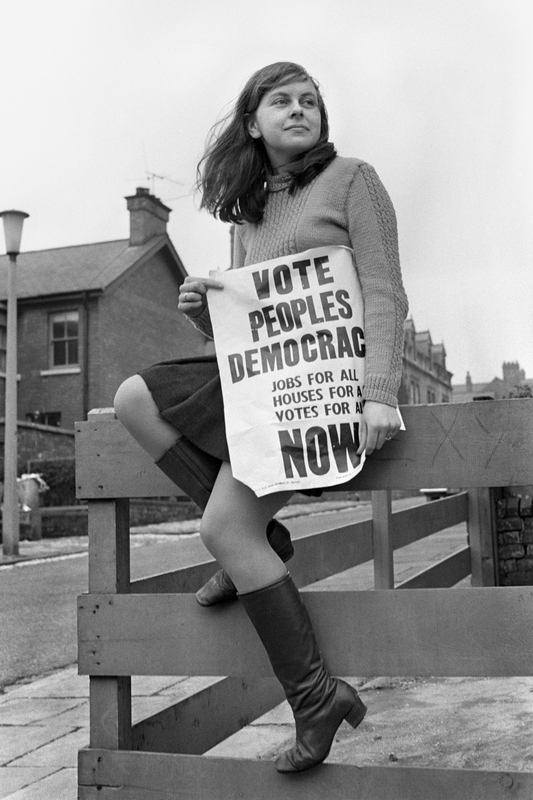 Unavoidably, for example, Bernadette Devlin, the young Socialist, Mid Ulster, Republican MP, is compared to Joan of Arc. 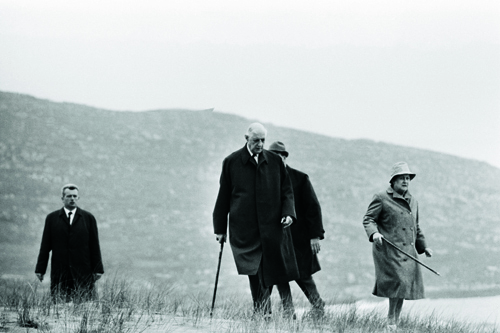 And it is a remarkable coincidence that during a stroll in County Kerry, in 1969, Lisney had the good fortune to see the General de Gaulle, a welcome, albeit in the context rather confusing, symbol of resistance for the French readers. The sympathy for the republican cause, however, is far from being undivided. It does not prevent the author from showing a number of the IRA characters as rapists, paedophiles and cynical materialists. It is not surprising hence that anticipating a pattern to be found in many, contemporary “post-troubles” thrillers, the narration finds its resolution in the liquidation and alienation of the terrorists. In doing so, the novel deserts the present in favour of both an uncertain and violent future, and f a mythified history of rebellion. The text inscribes subversions, both past and future, diegetically and metaphorically in the forbidding geology of the caves of the Burren region, in County Clare. Buried in the limestone rocks, facing the ocean, this subversion, materialised in a clandestine shipment of tons of (French) weapons can, it is suggested, resurface or wash away.